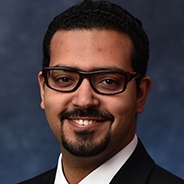 Mostafa Bedewy, assistant professor of industrial engineering at Pitt’s Swanson School of Engineering, was awarded $330,000 by the National Science Foundation to better understand and control the internal structure of nanotube-based materials for emerging applications. Carbon nanotubes are hollow, cylindrical nanostructures made of carbon atoms. They are smaller than one ten-thousandth the width of a human hair. These nanotubes are used in a variety of commercial products from baseball bats and bicycle frames to aerospace structures. They also have a tensile strength 20 times higher than steel and an electrical conductivity 10 times that of copper. Read more about his work. Some 100 teenagers who are about to or who have recently transitioned from foster care are convening on the University of Pittsburgh at Johnstown campus starting Aug. 6 for the tenth annual 2018 Older Youth Retreat — an event that welcomes foster teens from across Pennsylvania for activities and workshops in a college campus setting. From rural areas in Butler County or the urban core of Philadelphia, these teens convene to begin charting a course for their future, alongside others who have experienced substitute care. 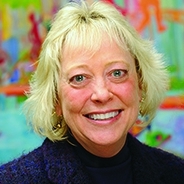 “They work on goal setting, planning, advocacy, leadership and building relationships, all while experiencing college life with its structure and support,” said Helen Cahalane (pictured), principal investigator of Pitt’s Child Welfare Education and Research Programs, within the School of Social Work. The school, along with the state Department of Human Services’s Office of Children, Youth and Families hosts the event, with support from several partners across the state. In its ten years, the retreat has supported more than 1,000 young people ages 16 to 21. “We’re helping youth create positive change in the child welfare system,” said Cahalane. 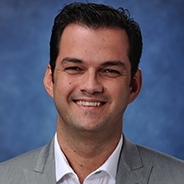 The American Chemical Society (ACS) Journal of Chemical & Engineering Data named Giannis Mpourmpakis, assistant professor of chemical and petroleum engineering at the University of Pittsburgh Swanson School of Engineering, an “Emerging Investigator” in a special issue of the publication. The issue highlights work from 25 researchers at the forefront of their discipline. Mpourmpakis contributed his paper “Understanding the Gas Phase Chemistry of Alkanes with First-Principles Calculations” to the ACS special issue. 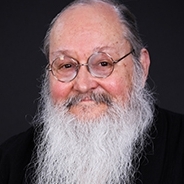 Read more about the paper and his work at the Computer-Aided Nano and Energy Lab. 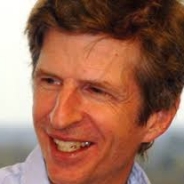 Robert Brandom, a Distinguished Professor in the Department of Philosophy, has been named a Fellow of the British Academy. The British Academy is the United Kingdom’s 116-year old national academy for the humanities and social sciences. 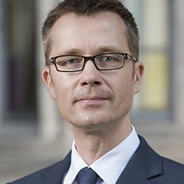 Brandom, who was recognized for his research on the philosophy of language, philosophy of mind, philosophy of logic, pragmatism, German idealism, Wilfrid Sellars, Frege and Wittgenstein, is one of 20 Corresponding Academics elected to the Academy from outside of the U.K. In total, 76 academics were added this year. 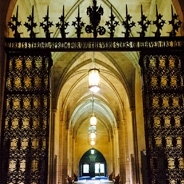 Past fellows include Winston Churchill, C.S. Lewis and Beatrice Webb. University of Pittsburgh student Heather Tomko represented Pennsylvania in the Ms. Wheelchair USA pageant and won the pageant’s top prize. At the pageant, Tomko also won the Invacare People’s Choice Award and the Dr. Georgi Hudson Smith Quest for Knowledge Award. 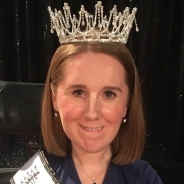 Her platform, “Increasing Inclusion of People with Disabilities into their Communities,” aims to advocate and educate the community about disabilities and accessibility. 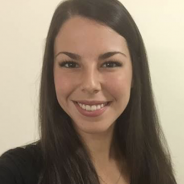 Tomko is a student and part of the research staff in Pitt’s Graduate School of Public Health, pursuing her master’s in public health in Health Policy and Management. 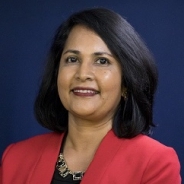 Vanitha Swaminathan, the Thomas Marshall Professor of Marketing at the Joseph M. Katz Graduate School of Business, will serve as President of American Marketing Association’s Academic Council from July 2018 through June 2019. Swaminathan, who joined Pitt in 2002, is the director of the Katz Center for Branding. Her research focuses on branding strategy and the conditions that foster consumer-brand relationships. Her research investigates how firms can successfully design brand strategies such as co-branding, brand extensions, brand acquisitions, marketing alliances to strengthen customer loyalty as well as firm stock market performance. More recently, her focus is on understanding how brand managers can leverage the power of social media to build stronger relationships with customers. As president of the council, Swaminathan will lead the 12-member group that represents the diversity of scholarly interests in managerial, behavioral, modeling and public policy perspective with attention to strategic marketing implications. Ruiz is the civic engagement and community organizer at Casa San José, an organization that advocates for and empowers the Latino community in and around Pittsburgh. She organizes around immigrant rights, housing and legal issues, advocates for policies that support immigrants, and builds coalitions to boost racial and workers justice movements. 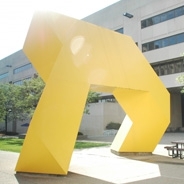 “As a community organizer and alumnus, she represents well the social work values of worth and dignity for all and social and economic justice,” said Tracy Soska, chair of the School of Social Work’s concentration, Community, Organization, and Social Action, the first and longest standing community organizing program in any professional school in the country. “We are proud of her work, tenacity, and commitment to the cause that demonstrates our school’s legacy for community organizing and social change,” Soska added. 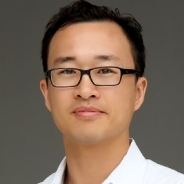 Kar-Hai Chu, an assistant professor of medicine and pediatrics in the Center for Research on Media, Technology, and Health, was recently awarded a 4-year, $600,000 grant from the National Institutes of Health to study technology and substance use patterns. The ultimate goal of his project is to optimize cancer prevention and control. Although many commercial smartphone applications have been created and marketed as tobacco cessation tools, none are based on scientific evidence. Chu’s work seeks to fill this gap by conducting a trial to test the usability of a smartphone-based app for tobacco cessation in young adults. In the long-term, the results of this study will inform the delivery of evidence-based tobacco cessation tools using affordable and accessible technologies. 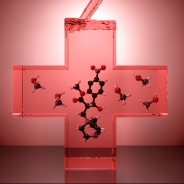 Yasemin Başdoğan — a PhD student in the lab of John Keith, assistant professor of chemical engineering and R.K. Mellon Faculty Fellow in Energy at Pitt’s Swanson School of Engineering — designed the image, which shows several molecules reacting in a cross-shaped container slowly filling with a liquid. Başdoğan’s research focuses on improving the modeling of a complex chemical system called the Morita-Baylis Hillman reaction. “Our model is like a paramedic team that comes with an ambulance: it’s a quick fix that can be really effective,” she said. The image was developed using tools and skills Başdoğan learned in a course at the Swanson School taught by assistant professor Chris Wilmer called Advanced Scientific Visual Communication, with assistance from Pitt’s Center for Research Computing. A group of students and alumni at the University of Pittsburgh School of Medicine has been chosen as finalists for the American Medical Association’s Global Health Challenge. The students are members of the Pitt Med Latino Medical Student Association and part of Students and Latinos United Against Disparities, which provides Spanish volunteer interpreters for the Birmingham free clinic, serving uninsured Latino patients. The group, Latinos Unidos, includes Angélica María Escobar (team leader, pictured), Daniela Ines Alarcón, Simon Edber, José Miguel Juarez and Vivianne Oyefusi. If they win, the group will have the opportunity to travel to a Latin American country with the AMA to help areas in need and to further their commitment and passion for global health and underserved medicine. Winners of the competition are chosen based on the number of votes received. Voting ends July 30th, and those interested in supporting the group can vote once per day. To vote, click the blue “thumbs up”/like button on the Latinos Unidos page. 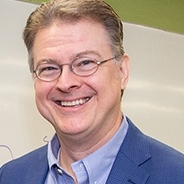 University of Pittsburgh faculty member Waverly Duck has been chosen for a three-year term on the Carnegie Library of Pittsburgh’s Board of Trustees. “It is an absolute honor to join the Carnegie Library Board of Trustees. As a child and teenager, the public library was an essential part of my intellectual development. More than just a resource for books, the library is a safe public space for individuals of all ages that operates with embedded rules of civility,” said Duck. 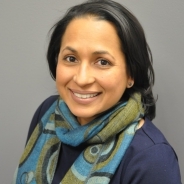 Duck is an associate professor in the Department of Sociology within the Kenneth P. Dietrich School of Arts and Sciences whose fields of interest include urban ethnography. 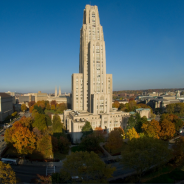 He is also Pitt’s director of urban studies. 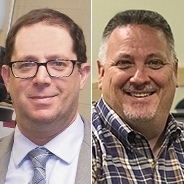 Two professors at Pitt’s School of Health and Rehabilitation Sciences (SHRS) recently changed positions for the new fiscal year. Jonathan Pearlman (pictured, left), an associate professor, is now chair of the Department of Rehabilitation Science and Technology. He will oversee the Prosthetics and Orthotics and Rehabilitation Technology programs. Pearlman replaces Rory Cooper, who remains the FISA/Paralyzed Veterans of America Distinguished Professor, director of the Human Engineering Research Laboratories and associate dean for inclusion in SHRS. Tom Platt, associate professor and vice chair for the Community Health Services division of the same department, will now add Emergency Medicine program director to his responsibilities. He replaces Walt Stoy, who will remain with the program as a faculty member. History of Art and Architecture Professor Kirk Savage, a renowned expert on public monuments, is featured in a new PBS special “10 Monuments That Changed America,” which airs nationally on July 17. In the show, Savage discusses the history of the Civil War Standing Soldiers monuments, which can be found in some 30 states. Savage is the author of two prizewinning books — "Monument Wars: Washington, D.C., the National Mall, and the Transformation of the Memorial Landscape" (2009) and "Standing Soldiers, Kneeling Slaves: Race, War, and Monument in Nineteenth-Century America" (1997), the second edition of which will be published this month. He also has been quoted extensively in the national press regarding the history of Civil War statues and the removal of Confederate monuments. “10 Monuments” is just one episode in the series “10 That Changed America,” that explores various streets, parks, buildings, and towns that reflect our nation’s history and values. 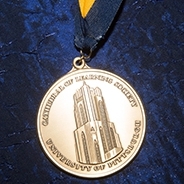 Two dozen benefactors were recently honored at a celebration on the University of Pittsburgh campus to mark their induction into the Brackenridge Circle. 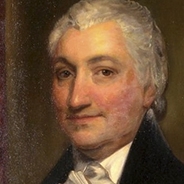 Named for Pitt founder Hugh Henry Brackenridge (pictured), the Brackenridge Circle was established in 2010 to recognize donors whose planned gifts and pledges to the University — through a bequest, annuity, charitable trust or life insurance policy — total $1 million or more. The group has grown to 214 members overall. The collective generosity of the 2018 Brackenridge Circle inductees includes gifts to support student scholarships, medical research, endowed professorships and more.